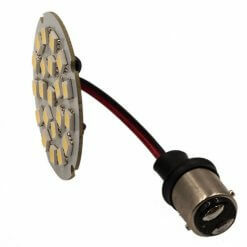 BA15D LED bulbs known as SBC (aka 1142) with dual contacts and level pins to replace car type bulbs. 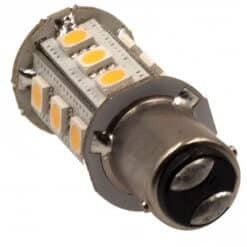 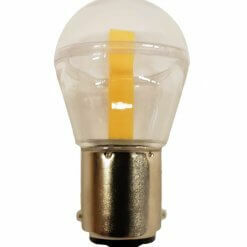 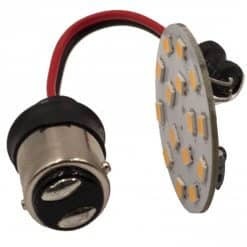 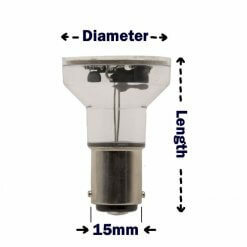 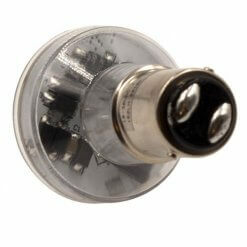 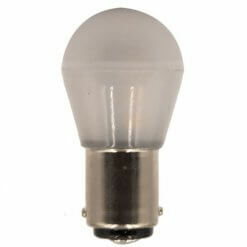 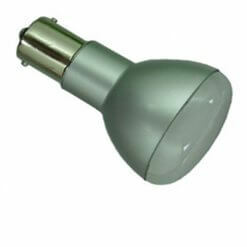 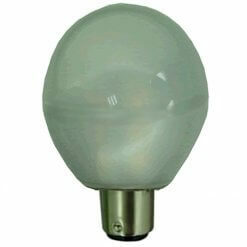 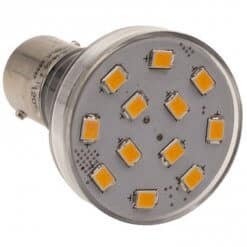 Many boat lamps and marine fittings use the Dual Contact BA15D Small Bayonet Cap (SBC) bulbs often with the bulb positioned sideways in Bulk Head light fittings or pointing in the same direction as the light output (Spotlight style). 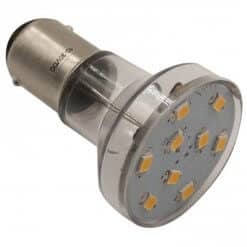 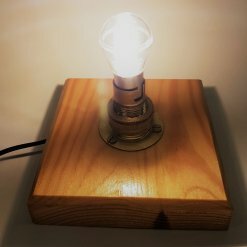 Many narrow boats have table lamp fittings or wall lights such as Gimbal Oil Lamps which need light shining in all directions – this is the specific purpose of the bayonet LED Tower bulbs that shine in all directions. 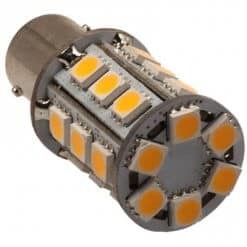 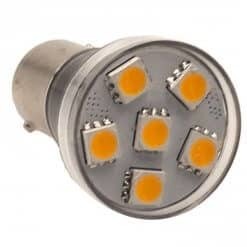 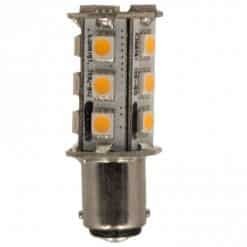 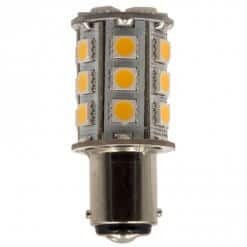 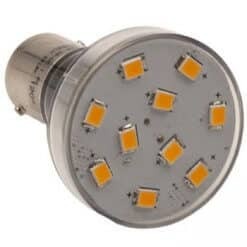 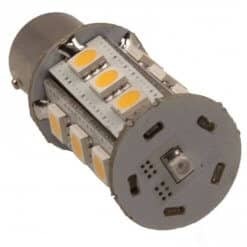 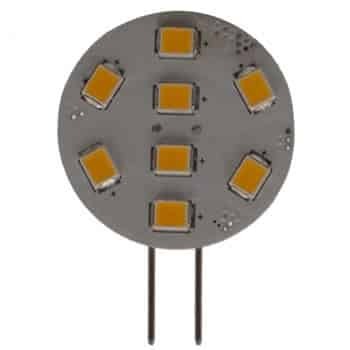 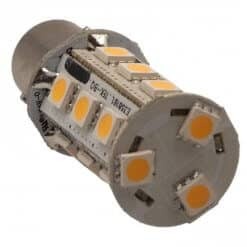 The BA15D LED range can be used on both 12 volt and 24 volt lighting systems and withstand charging voltages, voltage spikes and surges, they have no polarity considerations and consume a fraction of the power of the Tungsten original (about a tenth). 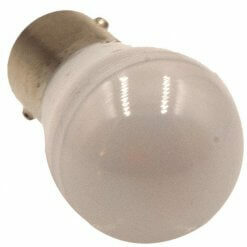 They are available in Warm White or Cool White across the range. 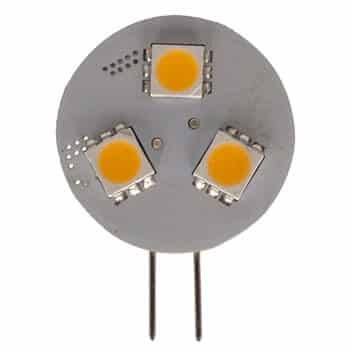 Dimmable spotlights are also available which have three levels of light using your existing light switch – just briefly turn off then on again to change the light level. 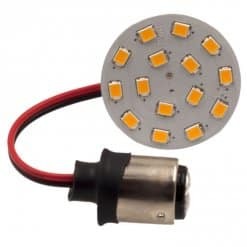 We have the largest selection of Protected LED bulbs, all of which feature Bedazzled's unique voltage spike protection circuit for reliability, peace of mind and safety. 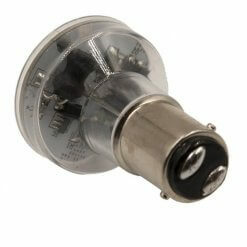 Boats & Yachts require a higher level of protection against electrical disturbances found on marine electrical systems.